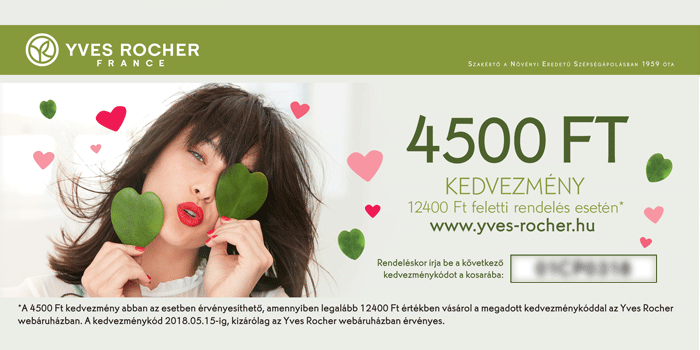 Media Markt and Yves Rocher, famous e-shoping brands on the Hungarian market, combined in the first half of this year their exclusive discount codes and created a coupon with synergy effect: Beauty care – available to every woman. The campaign was aimed at enhancing online sales and the Exclusive Voucher for a Beauty (BALIK PLUS 2) was chosen as a communication tool. Yves Rocher offered a potential online buyer a discount of 4500 Ft for the purchase of French cosmetics, and on the other side Media Markt, one of Hungary’s largest electronics retailers, took advantage of a 15% discount when purchasing Philips personal care products and free shipping. The one-month acquisition campaign aimed primarily at female audiences has brought its results. In life, beauty plays an important role, to a greater or lesser extent, whether men or women. Everyone takes care of their livery and that motivates them to buy.